It is with heartfelt gratitude that I thank each and everyone of you develop the skills, the wisdom and the desire to uncover true balance in your life through Taekwondo at Tae Kwon Do USA. Your commitment to TaeKwonDo and my commitment to you is to help you reach the goals you need to achieve physical, mental and spiritual well-being-the ingredients necessary when it comes to reducing negativity in your life. Always remember that peace with in your heart must be perfected before it can be shared. Together let us strive for harmony and unity and the ability to share these attributes with others. With so many arts schools in operation today. It is not easy to decide where to begin your own training. However, the choice is easier than you think. 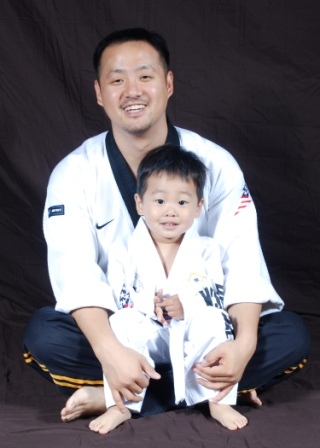 Master Kim and his staff take great pride in the uniqueness and excellence that is TaeKwonDo USA. Established in 2001 and second to none, our school is affiliated with the World Taekwondo Federation (WTF), the American Taekwondo Union (ATU) and the California Taekwondo United (CTU). Taekwondo USA is the ultimate place to dedicate yourself to attaining your personal goals and accomplishments... Perhaps a Black Belt...all within a special community of fellow martial arts students. 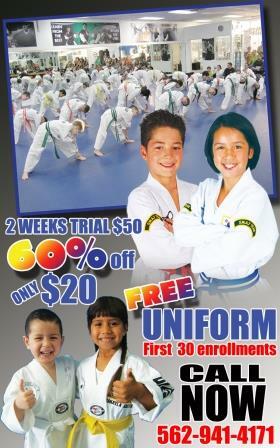 At TaeKwonDo USA, we are a family.